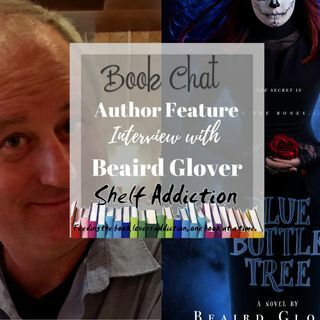 Tonight on BOOK CHAT, I'm interviewing author Beaird Glover. Beaird and I discuss ... See More his research into Marie Laveau and voodoo. He also shares about his book, Blue Bottle Tree. Want to share a comment? Have a question you'd like answered on air? Call into Shelf Addiction and leave a Speakpipe voicemail https://www.speakpipe.com/shelfaddiction OR Anchor App call-in https://anchor.fm/shelfaddiction! - Welcome background Intro/Outro music courtesy of Zencastr Recording Room.